The BC Energy Step Code allows local governments to move along the pathway to “net-zero energy ready” at their own pace. This page has resources that are of particular interest to local governments. 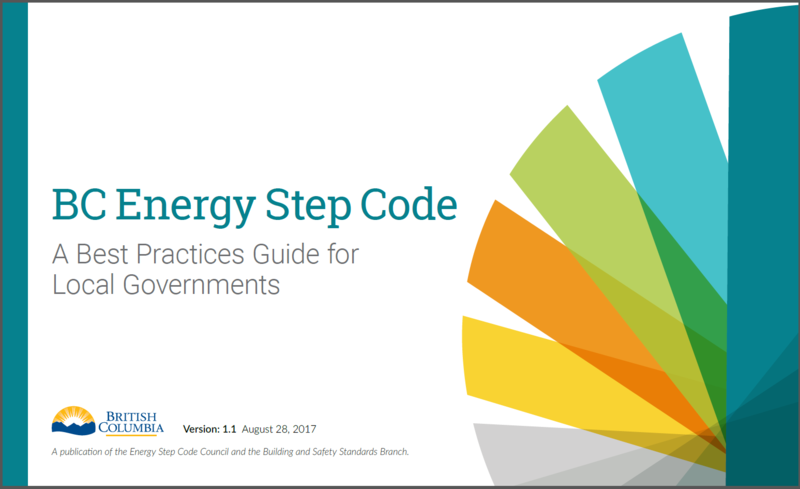 If they wish, local governments may use the BC Energy Step Code to increase the energy performance of new buildings in their communities. Be sure to visit All Resources to see everything we have available, and Events for a list of upcoming events. 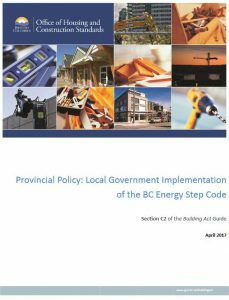 The Best Practices Guide is a resource for all local governments in British Columbia interested in referencing the BC Energy Step Code in policies, programs, or bylaws. It is a publication of the Energy Step Code Council and the Building and Safety Standards Branch. The guide delves into the nuts and bolts of the standard, and offers context and clear information on the characteristics of each step. It highlights anticipated costs and benefits and offers guidance on suggested timelines and effective engagement for developing a community-specific strategy for implementing the BC Energy Step Code. The Energy Step Code Council has prepared a PPT that interested parties may use in adherence with the brand guidelines. The Sustainable Communities Program at BC Hydro hosts two networks designed to support local government staff members with BC Energy Step Code implementation. One addresses issues specific to smaller communities, and one assists larger communities. Join a network to learn what other local governments are doing, get advice, ask questions, share ideas, sign up for newsletters and more. Contact: sustainablecommunities@bchydro.com. For the next few years, the Energy Step Code Council will be closely following local government interest in the BC Energy Step Code. Our goal is to better direct and inform industry capacity-building efforts, and identify potential training shortfalls or capacity crunches.